We've got about three plus weeks until this will be occurring, but I can't lie, this NXT show coming up has a special feeling about it. Much like the WWE is in a new era with their RAW and Smackdown rosters and new stars, it looks as if NXT is launching the next chapter and starting it in Brooklyn. 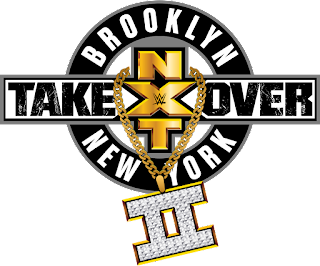 The card for NXT Takeover: Back to Brooklyn is amazing and today we're going to preview the full card and everything surrounding it. With all the attention on RAW, Smackdown, the draft and the CWC, NXT seems almost lost in the shuffle, but I guarantee you that NXT will be on everyone's mind come Summerslam weekend and afterwards. The card so far has 6 matches total on it, all of which are intriguing to be honest and feature newer stars stepping up and some big in ring NXT debuts as well. 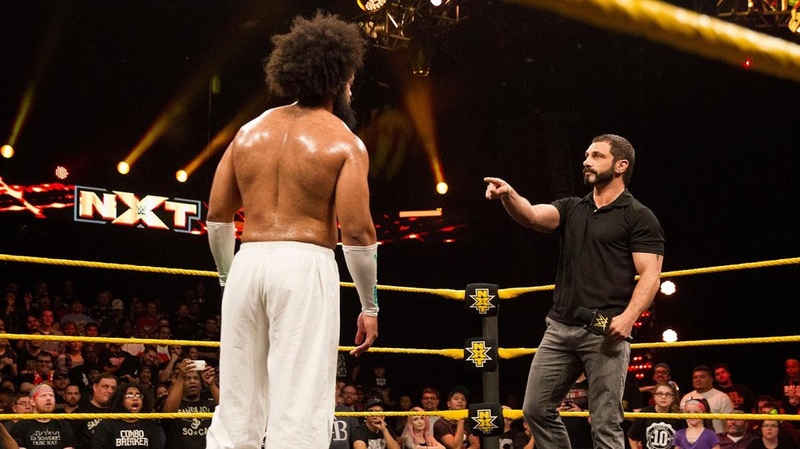 The rise of the biggest NXT star seems likely to culminate in a title win, and two of the biggest names from the indies seem likely to possibly become the NXT Tag Team Champions as well. The way things could turn out leave me beyond excited. Let's get into the card (beware there are spoilers below possibly). -This match doesn't really excite me. It's the only match that seems very flat on this list and although I'm a big fan of American Alpha, I am not sold on the Authors of Pain. I'd hope American Alpha walks away with the win and get a nice send off to the main roster of Smackdown, but honestly I could see NXT giving Authors of Pain the win and continuing to push them only because Paul Ellering is in their corner. Regardless, this one doesn't excite me. -Aries turns heel and I'm glad he did. He works much better as a heel and I love the character that Jose plays. It's fresh and he's truly entertaining. I think this match has to end in a victory for No Way Jose, but if this feud is set to be a long term type of deal, I could see Aries getting a non clean victory and Jose coming back after to exact revenge on NXT TV. Either way, this should be a good one. -Roode makes his big debut at the biggest possible show he could be at. Almas is a solid wrestler and we know the pedigree of Roode, so this should certainly be a good one. However, I would assume that Roode definitely wins this one. No other option really, because it's his big debut and I'd assume NXT has big plans for Roode going forward and maybe even a possible NXT Title run in the future or maybe next year. -This is my sleeper choice for match of the night. Gargano and Ciampa as a team is smart, as I don't see either making a big splash as singles wrestlers in NXT, but as a team, they are money and could go a long way in the WWE. I'd personally like to see new tag Champs to drive down the feeling of the new era and get ready to move The Revival up to the main roster within the next few months or before the end of the year at least. Gargano and Ciampa will likely win and if they do, I could see a future feud with the Authors of Pain, which I'm not sold on that, but it sounds likely for some reason. If The Revival retain, the question becomes who do they face going forward? That's the dilemma. I'd hope Gargano and Ciampa get a big win and shake the tag division up here. -So Asuka turns heel. Good. 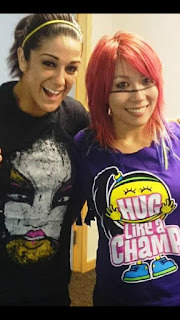 Asuka as a heel is a smart choice and I'd love to see her get very aggressive against Bayley. 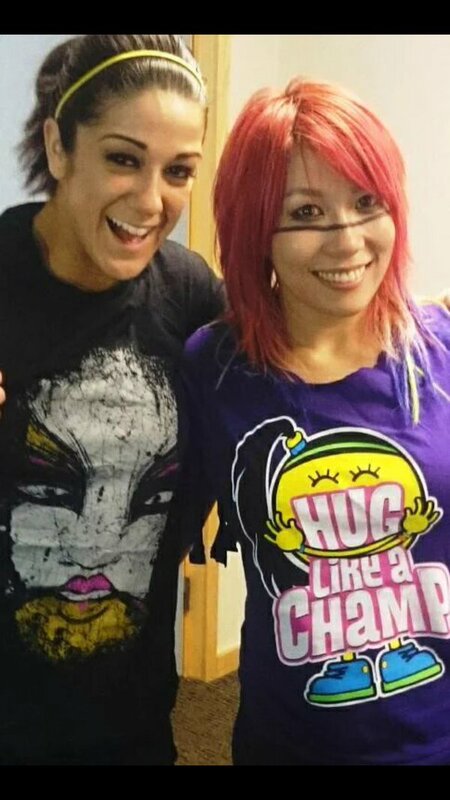 Bayley as the sympathetic face against an aggressive Asuka is a great dichotomy and though I don't see or want Bayley to win, I'd not be too surprised if she did. However, it's time for Bayley to move up to the main roster and time for Asuka to be on her own with the NXT women's division. However, my worry is who would be her next challenger? Carmella and Alexa Bliss are now on Smackdown, so with Asuka retaining in Brooklyn, we'd have a lot of things up in the air, and I think that's a good thing. Suspense going forward. -I hope you all know what this is building to. Samoa Joe will likely be leaving NXT soon and I'd hope join Smackdown. Nakamura will be on RAW likely by the time Wrestlemania hits (or Smackdown if they are lucky), but this is all leading to a Hideo Itami vs Nakamura match for the NXT Title. At least I believe so. Speaking of which, the returning Itami might have an impact in this match or after the match. Regardless, I see Nakamura winning this huge match in what should be a classic, and winning the title. 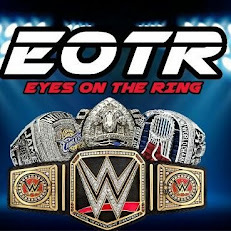 From there, I think Joe gers one more rematch and then moves on to the main roster. Expect the crowd to be fully behind Nakamura in Brooklyn and LOUD. This event could surpass the Wrestlemania 32 weekend event in Dallas. It has the makings of yet another amazing card for NXT, keeping the quality up as usual for the brand. I can't wait.